What every NBA fan has been waiting for comes this Thursday evening, the NBA Finals. The Heat and the Spurs will meet in a rematch of the thrilling Finals we saw a year ago and who is not excited to see that? 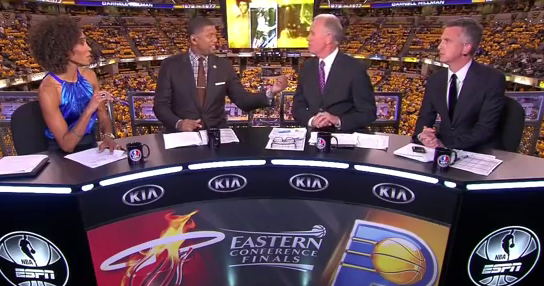 As I said, the 2014 NBA Finals kick off this Thursday in San Antonio. Continue reading for the full television and announcing schedule for Heat-Spurs, round II. Considering how awful the Houston Astros have been the last few years, no winning seasons since 2008 and a combined 324 games the last three seasons, it was going to take a lot for them to become watchable as their rebuilding process continues. 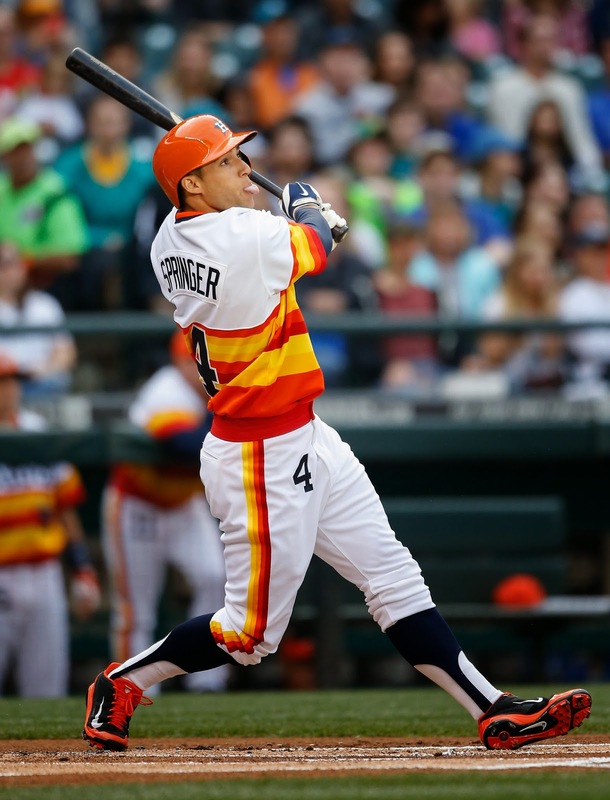 However, George Springer has shown that he can help change that in a big way. Another action packed edition of Fanatic Radio. Flo hosted this episode and it started with an interview with Grayson "The Professor" Boucher of the Ball Up Tour and formerly of the AND1 Mixtape Tour. He also discusses the NBA Conference Finals and the Stanley Cup Conference Finals as both are winding down. American University wrestler David Terao also joins the program as does KCOU's Jeff Parles. And it concludes with a fantastic rant on the United States Men's National Team by our own Mike. Check it out below and at Blog Talk Radio. 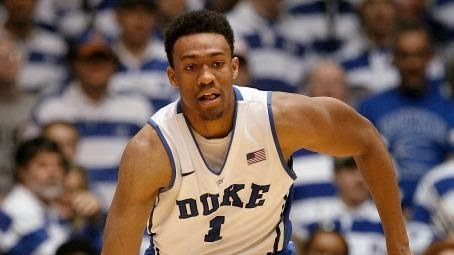 We are within a month of the 2014 NBA Draft kicking off in Brooklyn so you can tell the draft process is really heating up. Or maybe that's me but anyways, here is my second crack at a mock draft. 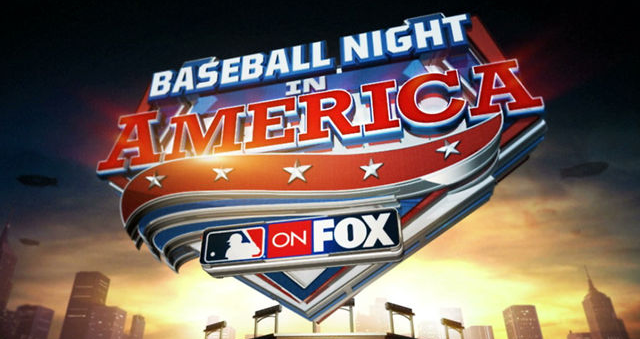 Fox's Baseball Night in America returns for this second Saturday night for 2014 with matchups in both the Senior and Junior Circuits in primetime. The Rays and the Red Sox will face off at Fenway Park and the Pirates and the Dodgers will do work in Chavez Ravine. Coverage begins at 7:00 following Braves-Marlins on Fox Sports 1 (see announcers here). Continue reading for distribution splits and announcing assignments for this week. We all known Birdman in regards to Heat big man Chris Anderson, but what about the rapper Birdman? It appears that Doug Collins is a fan of his work, at least enough to be able to drop the title of one of the hit songs from his debut solo album, back when he went by Baby, called Birdman. Let's go to the videotape. Gregg Popovich is well known for his jovial manner during interviews but this latest one may be a first for the San Antonio coach. After the Spurs were trailing the Thunder 26-20 after the first quarter, Popovich responded to a question from the great David Aldridge of TNT by simply staring at him sans a word. Even for him, this was glorious. Let's go to the videotape. America loves terrible first pitches by celebrities and this evening, we were presented the latest edition to that wondrous list. The culprit this time? The one and only 50 Cent. 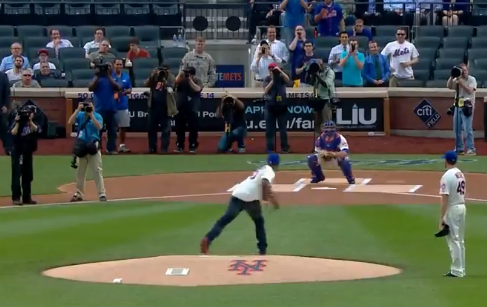 The Queens native threw out the first pitch before the Pirates took on the Mets at Citi Field and boy was it wonderful. Let's go to the videotape. Fox Sports made a big gamble a year ago when plans were announced that they were grooming Gus Johnson to be their lead soccer voice and eventually their lead broadcaster when they air the FIFA World Cup in Russia in 2018, not to mention the 2015 FIFA Women's World Cup in Canada. But based in the reaction to Johnson's performance on Saturday's UEFA Champions League Final between Real Madrid and Atletico Madrid in Lisbon, there is still a long way to go. There is a reason that they call the Indianapolis 500 "The Greatest Spectacle in Racing" and we saw it today at the Brickyard. After going caution-free through the first three-quarters of the race, a handful of cautions down the stretch made the racing more exciting, particularly so after a Townsend Bell crash led to a red flag with eight laps to go. When the race went green with six to go, over 200,000 fans and millions of viewers at home were treated to a three driver battle for the victory in Ryan Hunter-Reay, Helio Castroneves and Marco Andretti. After a couple of lead changes spurred on by bold moves, it was Hunter-Reay that held off Castroneves at the line for the victory. 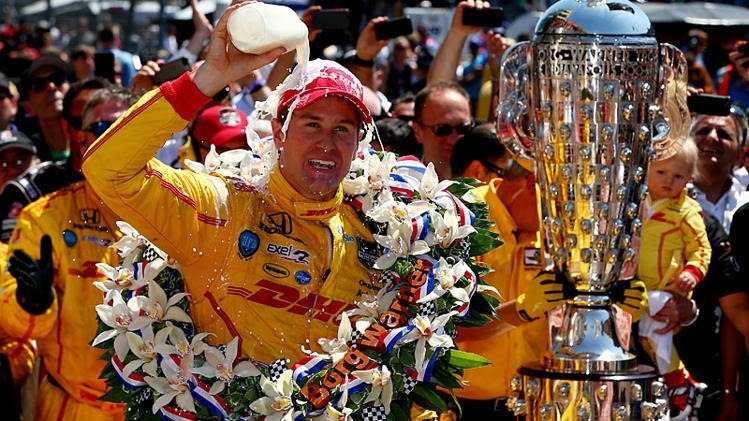 This was the first Indianapolis 500 win for Hunter-Reay and he was the first American winner since Sam Hornish, Jr. won in 2006 in an epic conclusion. And now he is poised to be the next American racing star, and at a perfect time for IndyCar.